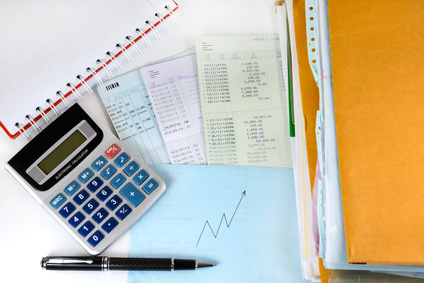 Printing requirements in the financial industry can be very complex. The focus of IT and operations is to provide a simple, efficient and secure printing environment for users to have increased access to information and reporting. This is required for internal analysis and for external financial printing for clients. The financial services industry is consistently looking to improve the response time for decision making and also improve client communication because service, trust and performance are the keys to retaining financial services clients. Financial printing downtime can potentially cause significant client support issues. It is crucial to provide high uptime with an efficient platform of printing and imaging equipment and integrated software. Partnering with independent MPS experts with knowledge of financial printing and imaging environments is critical to success in an organization goals for user support, efficiency, security and cost reduction. fax over IP and many more. At SmartPrint, we have been supporting financial services firms across Canada for decades. We are experts at getting financial printing in the office environment right for each individual department. We provide simple secure financial printing solutions that support user efficiency. We also provide solutions in document control to ensure the printing and imaging environment is locked down, secure and enabled with reporting for financial industry compliance audits. As MPS experts, we have vast experience providing continuous improvement for the financial services industry across Canada through managed print services. Cybercrime/security – the financial services industry is a focused target. Financial printing and imaging devices on the network that are not locked down and protected from potential hackers are at risk. Macropolitics / economic downturn – requiring the need for significant improvements in efficiency and cost management within organizations. Regulatory and compliance pressure, scrutiny and audits. Document control – lack of capability to track users’ actions in the financial printing office environment and associated lack of ability to report for audit purposes. Offsite storage and retrieval of documents. Implementing best practices for document workflow to improve efficiency, resulting in faster response time for clients. Lack of a standardization of technology platform with multiple manufacturers causes challenges for users and IT – multiple device interfaces, print driver use and support, supplies management and technical service and support. Increased competition and client pressure for price reduction. Core system improvements and transformation. Pro-active management of all financial printing devices supporting required brands. Security audits of the printing and imaging environment to identify risk areas. Reduction of risk by securing the printing and imaging environment through document control software and security software that locks down the devices to thwart hackers and tracks and reports for audit purposes. User authentication for efficient, secure document workflow customized for the user or department. Document conversion, compression and profiling. Secure enterprise document sharing and delivery (internally and externally). Reduction in operating costs by 30% to 50% with no capital outlay. Implementing secure, simple mobile printing in the financial industry. Ongoing print support and expertise to help the organization reach objectives. At SmartPrint, we have deep experience and knowledge of what it takes to support the financial industry. Contact SmartPrint to discuss how our MPS solutions and content management workflows can dramatically improve efficiency and security in financial printing. Complete the form below for your no obligation print assessment to see how managed print services for the financial services industry might improve your print environment.